Phoenix weather is greatly influenced by its elevation. At about 1100 feet above sea level, Phoenix AZ is at a lower elevation that other cities in Arizona. The lower elevation also means higher humidity. Also, contributing to the higher humidity is the abundance of lawns that require daily watering. Overall Phoenix Arizona weather is warmer throughout the year compared to Tucson weather. Tucson AZ is the second largest city in Arizona and sits at an elevation of 2500 to 3300 feet depending on where your are at in the metro area. The mountains surrounding Tucson are also much higher. Phoenix is located almost in the center of the Salt River Valley. The Salt River runs from east to west through the valley. However, because of the various impounding dams upstream, it is usually dry. The Phoenix weather climate is desert type with low annual rainfall and low relative humidity. 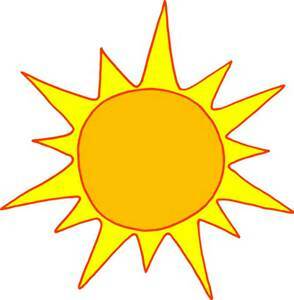 Phoenix weather daytime temperatures will be high druing the summer months. The winters are mild. Nighttime temperatures can go down to below 32 degrees during the three coldest months. The Salt River Mountains, referred to as the South Mountains, are located 6 miles to the south. The “mountain” only rise to 2600 feet MSL. The Phoenix Mountains are about 8 miles to the north. The peak of the Phoenix Mountains, called Squaw Peak, tops out at 2600 feet MSL as well. Camelback Mountain is a well known landmark that is about 6 miles to the north-northeast. Camelback mountain rises to 2700 feet MSL. Higher mountain elevations are found are about 18 miles to the southwest. Know as the Sierra Estrella Mountains. The tallest elevation is 4500 feet MSL. Farther away from Phoenix AZ are the White Tank Mountains with a maximum elevation of 4100 feet MSL. The Superstition Mountains are approximately 35 miles to the east and rise to 5000 feet MSL. Want a “real time” look at Phoenix Weather? TAKE A LOOK! Considering a move to Arizona? How about Tucson AZ. Looking for Real Estate for Sale in Tucson AZ? We can help!